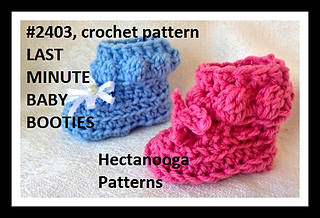 CROCHET PATTERN - NEW BABY BOOTIES, - LAST MINUTE BABY BOOTIES, New baby gift, Baby Shower Gift. 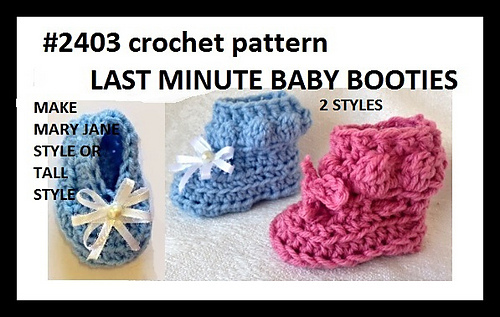 3 sizes from newborn to 12 months. 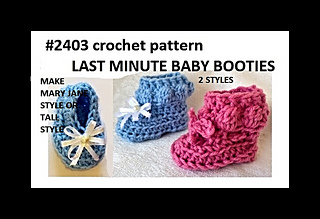 My main focus in designing is to produce a pattern with the least amount of instructions for achieving a successful result.